What amazing, awesome experiences we celebrate today! Cosmological events, scientific observation, meanings interpreted, hearts drawn to go forth on a long journey, to see and offer homage to a baby king, outreach to all peoples, all nations, dreams of warning and direction. What a spectacular beacon it must have been! A new light rising in the night sky! And who were these Wise Ones, these Magi, who observed it? They seem to be astronomers and astrologers who knew the night sky well, observed newness and interpreted meaning. God in the heavens had given them a sign that a newborn was to be king of the Jews. They must go and find him. And so they set out on their journey, seeking this newborn king. They arrived in Jerusalem, the capital city and consulted with King Herod. He, in turn, inquired of the chief priests and the scribes where the Christ was to be born and learned it was in Bethlehem in the land of Judah. The Magi left Jerusalem and set out and behold, the star that they had seen at its rising went before them. They were overjoyed at again seeing the star and knowing they were on the right route. The star came and stopped over a certain dwelling. They had arrived! On entering the dwelling they saw the Child with Mary, His mother and Joseph. 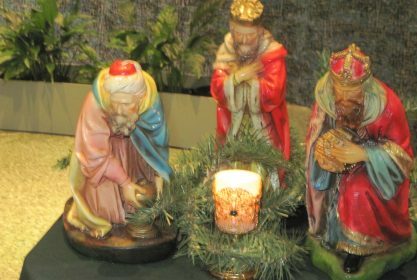 The three Magi bowed down and reverenced the child. What love and joy must have filled their seeking hearts. Then they gave gifts signifying his person and his life and death. We can imagine Mary and Joseph welcoming them and offering what hospitality they could to these international guests. Perhaps the Magi shared the adventures of their journey and their delight in the star guide. Probably they were even more delighted to hold the tiny baby, Jesus and look into His eyes. And having been warned in a dream not to return to Herod they departed for their country by another way. As we celebrate a new year, do you feel a star rising in your heart? Observe a star rising in our world? Go before us with heavenly light, O Lord, always and everywhere, that we may perceive with clear sight and revere with true affection this mystery in which you have willed us to participate. Amen. 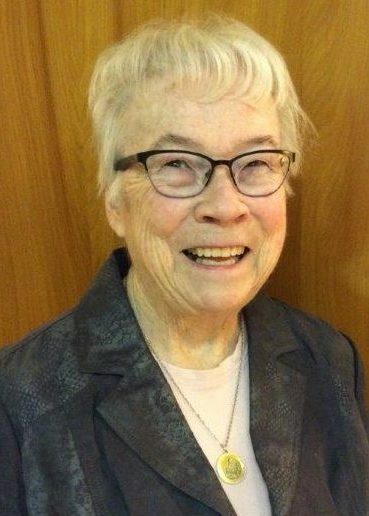 Sister Sheila Stone, gnsh offers prayer opportunities and programs for small groups at Sacred Heart Center in Buffalo, NY The current book clubs are reading, praying about and discussing Joan Cittister’s book, The Gift of Years. Her passion is for the connection of ecology and spirituality especially through a program she developed called EarthHeart. 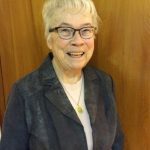 Sr. Sheila offers programs on Laudato Si and lobbies local government representatives on environmental issues in connection with the Sierra Club. Thanks for taking the time to remind us of how awesome a story this is! Happy Feast of the Epiphany to all who have been part of the revelation of God’s inclusive love for all of us!